I am an extremely curious person, and living in the age of Google and Wikipedia has only increased my obsession with fact checking and reading as much as possible about things that I’ll probably never need to know about. 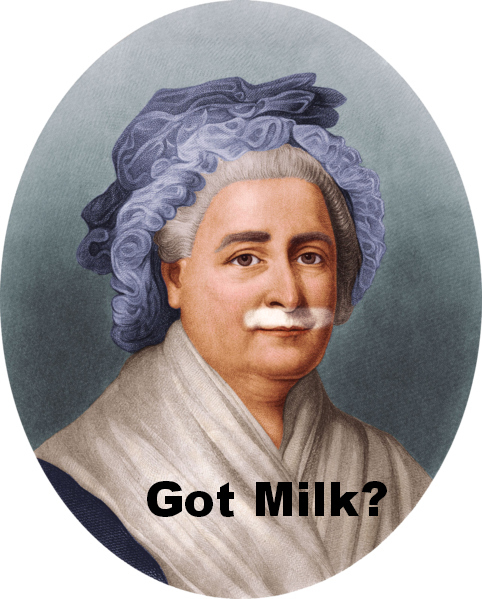 We’ve all been there before– you look up something on Wikipedia and then see a link to another interesting fact, and another, and another, and before you know it you are reading about Mary Washington’s spoon collection and how she liked to drink warm milk before a bubble bath because it made her feel like a fancy broad. I may have made up that fact in particular, but I’ve been sucked into articles before that are just as random and bizarre. Last night Isaac and I were watching the Olympics and I suddenly had hundreds of questions. I wanted to know everything about everything pertaining to the Olympics, and my poor husband just didn’t have all the answers. So I decided to do some research. In case any of you are curious cats as well, I wanted to share some interesting Olympic tidbits that you may or may not already know about. 1. Who pays for athletes to go to the Olympics? Do they have to pay their own way/lodging? “Commercial sponsors can make up some of the difference, but they most often sign up the golden stars—the big names who can sell watches, sports drinks, candy or clothing. The lesser, younger, up-and-coming stars, often in somewhat obscure sports that don’t draw big TV ratings, need to fund their own dreams. Raising money for Olympic dreams is nothing new, of course. In the games’ early days, many athletes simply paid their own way, which is why many of the first U.S. champions came out of America’s moneyed collegiate classes. Until the 1970s, Olympic athletes were also required to be amateurs; they couldn’t sign up sponsors or get paid for their work. The athletes also use crowdfunding, so their fellow Americans can help them get there! 2. Do the athletes get paid for going and/or winning? The quick answer: no. But each country’s Olympic committee can decide to give them money if they want to. “The United States Olympic Committee pays out medal bonuses: $25,000 goes for gold, $15,000 for silver and $10,000 for bronze (Though, as Yahoo! Sports notes, these prices haven’t changed in 10 years, and are now worth over 5 grand less due to inflation). American athletes may also expect smaller prizes — a fund set up for wrestlers that will award a gold medal winner $250,000 springs to mind. The only people who make real money are the few famous ones, other than that, the athletes just consider themselves lucky to have gone and don’t get much money, if any at all. 2. How is the host city for the Olympic games chosen? “Numerous criteria are considered when choosing a host city. Since 1999, the election procedure has lasted two years. During the first phase, the so-called Applicant Cities must answer a questionnaire prepared by the IOC. A group of experts then examines the answers, after which the IOC Executive Board chooses the official “candidates” from among the Applicant Cities. During the second phase, the Candidate Cities must submit a file in response to a second questionnaire from the IOC. This covers a wide range of topics, including the Olympic village, transport, security, accommodation, sports and venues, the environment and marketing.An Evaluation Commission then analyses the various candidature files and produces a report for the IOC members, allowing them to judge each city’s ability to host the Games. Also, only one city from each country can apply to host the Olympics. I had no idea! 3. Is the gold medal really pure gold? 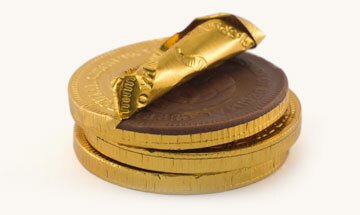 Is it so wrong that I’d prefer my medals be made of chocolate? Silver and Gold are so impractical. 4. Why do we have the Olympic rings as the emblem of the Olympic Games? 5. Who was the youngest person to ever compete in the Olympics? I. Feel. Worthless. But I have been in college since 2005, so that’s something, right? Right????? 6. Why are the female snowboarders this year so unimpressive? Okay, seriously. Did any of you watch the female snowboarding event? It was the most underwhelming thing I’ve ever seen. I’m not saying I could even stand on a snowboard in the middle of summer on flat ground without falling off, but this is THE OLYMPIC GAMES! Isaac and I were amazed watching the supposedly “best of the best” from around the world fall off of pipes, not stick their landings, and slide down the mountain on their butts. They would do the babiest of jumps, and then when they finally did get some real air, they would flap their arms like chickens who were catapulted 100 feet in the air, making the jump seem not quite as impressive. Most of them looked completely out of control, and like they had only done this a handful of times before. Not exactly what I was expecting from you badass ladies, come on! I mentioned to Isaac that one of my favorite parts about watching the Olympics was how athletes make it look easy. Whether they are doing backflips on a springboard floor, skiing down a mountain at 75 mph, or jumping hurdles like a wild gazelle, they make it look easy. It absolutely blows my mind, because they look so elegant and graceful while performing incredible stunts. The female snowboarders of Sochi? They made it look really, really difficult. Like every run was miserable and they weren’t sure if this would be the one that would kill them because they were so unpolished and shaky. It was honestly a little hard to watch. Okay, so this wasn’t really an answer to a question at all, I couldn’t find any real answer online. So instead you got my POV. You’re welcome. 7. What is the weirdest sport at the Olympics? Oh my, I had so much fun researching this one. Read this article, there are too many good videos that go alone with their answers. My personal favorites? Racewalking, Dressage, and Trampoline! If you do nothing else today, please watch the Racewalking video, located at the very bottom of the article. Is this real life? 8. On average, how many athletes go to the Olympics from each country? “While countries like the United States, Canada and Russia have sent many athletes to the games (230, 220 and 225 respectively), 18 nations have just one athlete representing them in Sochi. They are: Zimbabwe*, Kyrgyzstan, Pakistan, Tajikistan, Timor-Leste*, Malta*, Cayman Islands, Mexico, Venezuela, U.S. Virgin Islands, Nepal, Luxembourg, Bermuda, Paraguay*, British Virgin Islands, Hong Kong, Philippines and Tonga*. The commercials are accurate, Mr. Weber-Gale wrote, in that there are McDonald’s restaurants and that McDonald’s food is available to Olympic athletes. “In my experience, eating in the dining hall at the Beijing Olympics, I’ve seen firsthand that many athletes do in fact eat McDonald’s,” he added. As of February 2010, six, possibly seven, athletes have died at the modern Olympic Games while either competing or practicing in their sport. In addition, another 12 participants have died at the Olympic games from events which were not connected with sports. Athletes from New York have won 23 gold medals overall, the most for any state. Minnesota (22) and Massachusetts (16) round out the top three. (Gold medals for hockey players make up a large portion of these totals). Surprisingly, Colorado has only produced one Winter Olympic gold medalist, according to this AOL tally. That’s the same as Alabama, New Mexico and Nevada. I’m kind of sad that the medals aren’t made out of chocolate. #1 – I remember learning about racewalking a few years ago and almost peeing my pants from laughing when I watched it. #2 – That’s crap that the gold medals is made of silver. #3 – All of the olympic related deaths are terrifying. Colliding with a snow machine?! No thank you. Thanks for spreading the knowledge! I can’t believe I’m just now hearing about racewalking, it’s so bizarre!! 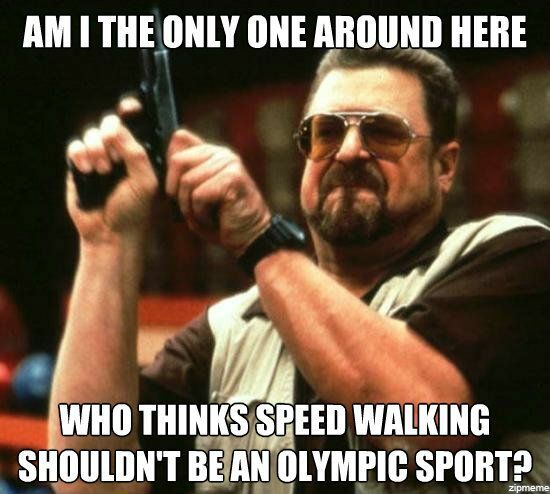 Can you imagine winning a gold medal for racewalking? I’m not sure I’d run home and brag to everyone about it, lol. And I know, the death stats were scary! At least there aren’t TOO many, but yeah. Not good. I know a few reasons for #6. For one, this is actually the first time women could compete in the park events (or at least the one I watched yesterday — I don’t know if there were any more). If I had to guess, there was probably far less training for it overall. Secondly, as women tend to be smaller than men, they’re actually at a disadvantage for a lot of those tricks because they weigh less. It’s much harder to get proper speed/rotation/lift when gravity is your primary driving force. 😉 (I know this because I’m a rather shrimpy snowboarder myself.) And I think the reason they *looked* a lot “worse” was because not all of them had the same “style” that guys do (i.e., really tucking into the rotations, grabbing their boards, doing crazy tricks off rails and pipes). They actually pulled off a LOT of difficult things, like approaching jumps fakie (i.e., with their non-dominant stance) and pulling off a certain number of rotations that even guys struggle with, but not all of them had the showy finesse that, say, Shawn White has. Since the Olympics I’ve been watching some snowboarding documentaries with my husband (he’s really big into snowboarding too) and I have been incredibly impressed by the skills people have– both men and women! Again though, the Olympics are live and don’t allow for “re-records” so I guess it makes sense that you’re going to see a lot more “oops” moments. I also know their snow conditions were pretty bad, that’s unfortunate. Anyway- all that to say I’m still impressed by ANYONE who goes to the Olympics, was just a little underwhelmed by both the female skiers and snowboarders. I chose not to watch the Olympics because of the poor treatment of the people & animals. A road was made through a village eliminating their village privy. Yep, the whole town shared. Plus they are killing off stray dogs. Just not something I care to endorse. I know, there were a lot of heartbreaking and unfortunate things going on, all to accommodate the Olympics. I did love that story about the man who was saving all the dogs he could with his own money though! There are always good people out there, makes me feel a little better about humanity. But still, it was disheartening.